In two strongly worded and impactful letters addressed to the Chief Justice of India H.L. 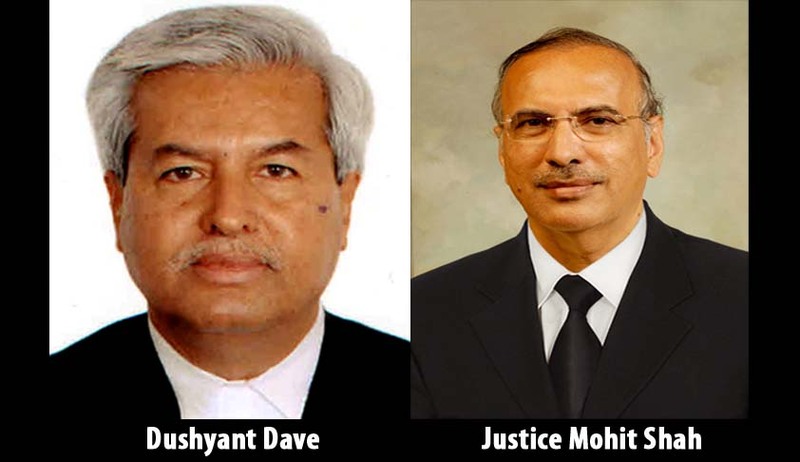 Dattu, as reported by Bar and Bench, Senior Advocate and the President of the Supreme Court Bar Association Dushyant Dave has opposed the proposed elevation of Chief Justice of Bombay High Court, Justice Mohit Shah to the Supreme Court. The letter dated 6th February, 2015 highlights the high regard of the responsibilities that have been entrusted to the collegium system while appointment of Judges, in view of the judgment of the apex Court in the case of Supreme Court Advocate on Record Association v. Union of India,  4 SCC 441. In view of these facts, he urged that the material considered against him by the earlier collegiums should be made public in larger good of the Judiciary and the Nation. According to him, reconsideration of the Chief Justice would “not only be contrary to the Constitutional Bench Judgment” but “would be grossly improper and will seriously impact the reputation and goodwill” of the Supreme Court. He alleges that the trial of BJP leader Amit Shah in the Sohrabuddin fake encounter case, the Bombay High Court, with Justice Shah as the Chief Justice did not follow the mandate of the Supreme Court that the “trial should be conducted from beginning to the end by the same officer”. He then followed it up with another letter yesterday, with additional events supported by judicial record, with raise “extremely discomforting questions about the judicial conduct of Chief Justice Mohit Shah”. He brought to the attention of the CJI, Justice Shah’s questionable conduct in the case of Gujarat High Court by Essar Oil Ltd. and Ors. vs. State of Gujarat and Ors. According to the letter, the case was initially heard by a Bench presided by Justice Shah and notice issued by the same Bench. After the roster for allocation of matters changed, the subject matter of the above Writ Petition was to be heard by a Bench presided by the then Chief Justice Y.R. Meena and Justice J.C. Upadhaya. The letter however alleges that the matter was transferred back to Chief Justice Meena’s Bench through an affidavit filed by Essar, falsely claiming that the matter had already been heard and disposed of on February 19, 2008 by the Bench headed by Justice Shah. In the meantime, Essar also filed a civil application before the Bench presided by Justice Shah. Justice Shah passed an order on this Civil Application on February 28, 2008 directing that the main matter be listed before the appropriate Bench. Justice Meena then took note of this incongruity in the affidavit filed by Essar, noting that he could not find any such judgment passed on February 28, 2008. However, the matter was remanded by to the Bench presided by Justice Shah in order to “avoid further controversy”. Raising six questions about the controversy, Advocate Dave requested the CJI to reconsider the elevation, “in the interest of the entire judiciary and the dignity of the Supreme Court of India”. Read the two letters here.